Rahul and his wife have been in the market for a three-bedroom flat in Bangalore for over a year but they are yet to find one that suits their needs. While browsing for properties on one of the online platforms, they finally think they have found the right one. The size looks good and the price is just within their budget. Rahul opens the blockchain ledger on his computer with his private key and searches the property on the government’s Land Registry database using the property ID provided by the Seller in the advertisement. The blockchain gives him access to key property details and a summary of the property documents - owner, property taxes, maintenance receipts, title reports, encumbrance, Khata, mortgage lender, approvals, broker and so on. To go into the details he needs the Seller to share his private key. He messages the Seller, schedules a viewing, negotiates a price and gets access to the full property blockchain. He adds his banker to the blockchain who approves the mortgage after going through the property papers and title history. The sale deed is signed digitally and the payment is released to the Seller’s banker (also on the blockchain). Finally, the sub-registrar is intimated of the sale and the title is transferred in their joint names name in the blockchain. Welcome to the future of real estate purchase and ownership. Blockchain is a distributed digital, chronological, encrypted and time stamped ledger (think of it as a software or an app on your phone, tablet or PC) that contains digital record of transactions. It was initially developed to keep track of the amount of bitcoins in circulation but its usefulness has now extended far beyond cryptocurrencies. In order to access a particular document (for example a property sale deed) the user will need his private key (think of it as a password), the document’s public key (which is “public” or freely available) and the document owners’ private key. A user can see the document through the public key but will need the owner’s private key to see the details. As tech entrepreneurs in the Property industry we are in a unique position to see the inner workings of the entire property purchase cycle in various cities from sourcing (via brokers or online sites), site-visits, negotiation, signing, legal diligence, mortgage, documentation, payment and transfer of title. We’ve dealt with sellers, brokers, mortgage lenders, lawyers and land registry officials at the sub-registrar’s office. Typically, a sale process takes between 8-12 weeks for a residential/commercial property and is often riddled with frustrating process hurdles, title checks, managing a variety of intermediaries and an all too familiar bribe in the sub-registrar’s office. As per JA Choudhary, special chief secretary & IT advisor to the chief minister of Andhra Pradesh, buyers and sellers pay upwards of $700 million (Rs. 4,500 crores) in bribes at land registrars across the country. No property deal can be executed in any of the big cities today without paying a “facilitation fee” to the sub-registrar, which can range from Rs. 25,000 to several lakhs depending on the size of the transaction. Technology can eliminate all these leakages and make the process almost frictionless. But for it to play a role, the government has to be pro-active in allowing technology to disrupt the buying and selling process. Without the government’s backing, blockchain will remain an ineffective tool to fight corruption and delays. Therein lies the rub. A large portion of that $700 million goes to corrupt politicians and political parties that use it to line their pockets and fund their election campaigns. There is therefore a very large disincentive to allow this technology to be implemented. However, if the government is serious about its intention to root out black money and corruption, they will need to take a decisive step in this direction. Blockchain technology can make an immediate and lasting impact on the property market. Let’s look at some of the benefits of implementing the technology. Title history and diligence can take months and often stalls or breaks-down the transaction. If blockchain were to be implemented, all the property papers would be available on the chain for everyone to see. Documents like the land title, property plans submitted to the local municipal corporation, approvals, the certificate of commencement of construction, construction agreements, mortgage lender’s report, NOCs from the fire department, environmental ministry, Airports Authority of India, Occupation Certificate etc. would all be available on the blockchain. This would eliminate the role of a lawyer to a large extent while allowing for a very speedy diligence process. Extend this to large private equity transactions in real estate and the benefits are too evident to ignore. In my previous job as an investment professional in the Blackstone Group, the world’s largest real estate fund, we used to spend months diligencing the property often paying large sums of money to lawyers and accounting firms only to see the transaction getting called-off due to some deficiency in the title. This information asymmetry can be corrected if all contracts are available on the blockchain. Title fraud is eliminated completely as changes cannot be made to blocks in the blockchain. Property papers cannot be forged to sell a property, as the full transaction history is now available on the chain. The role of intermediaries like lawyers and brokers will be reduced significantly, lowering transaction costs which will ultimately lead to lower property prices. Government-level corruption is completely eliminated, as the role of the sub-registrar is limited to transferring ownership on the blockchain. The buyer and seller need not be present in the same city as contracts are exchanged digitally (see below on Smart Contracts). Tax revenues will go up as tracking property ownership becomes easier. Data on property prices through sales and purchases will be available on a real time basis for every micro-market in the country making decisions more rational and property prices more stable. There will be no need to store property papers in physical form eliminating loss or stolen property documents. The system cannot be breached through a hack as the blockchain software is a distributed ledger on everyone’s computer instead of in one central location. Property disputes, which form a vast majority of unresolved cases will reduce significantly freeing up time for the judiciary. 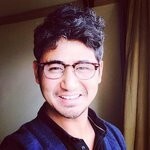 Aadhar can be a powerful enabler in allowing blockchain. The government could make the Aadhar number the public key associated with every individual. This will make it very easy to track who owns what properties which will improve tax enforcement and reduce tax evasion to a very large extent. Tax revenues can go up significantly with the implementation of blockchain. A major feature of blockchain is smart contracts or contracts that are signed digitally by two or more parties. This regulation is already in-place in India. As per the Information Technology Act, 2000 eSignatures can be used to sign almost all documents (exceptions being Registered Property Sale Deeds, Notarized documents). Electronic signatures can also be used as evidence under section 65B of the Evidence Act, 1872 to support the existence, authenticity and valid acceptance of a contract in a court of law. The government only needs to remove the exemption given to property sale deeds and notarized documents. At Property Share, we are at the forefront of technology and are already using many elements of blockchain technology. All our contracts are signed digitally eliminating any need for a physical presence. The name and signature of the parties along with a time stamp and IP address are recorded, stored and distributed through an online audit report. The title report, title history, approvals, property papers, occupancy certificate are made available on every investor’s dashboard. Countries like Dubai and Sweden are already paving the way for blockchain. Dubai is set to implement blockchain for all property transactions by 2020. Closer home, the Andhra Pradesh government has hired Chromaway the tech firm implementing the technology in Sweden to build a blockchain based solution in real estate. A consortium of 27 banks led by the State Bank of India has already formed a community called BankChain to explore and implement blockchain solutions in banking. SBI is set to rollout the first beta of blockchain enabled smart contacts next month and will extend the solution to loan dyndication, KYC, cross-border and peer-to-peer payments. Technology has brought a solution right to our doorstep. All we need to do is embrace it and use it to move the country forward. - Kunal Moktan is the Co-founder and CEO at Property Share, a tech-enabled commercial real estate investment platform.